A 13-year-old girl's relationship to her best friend is at the heart of Ulla Søe and Sussie Weinold's Shanne and Her Friends. Shanne's story, Ulla Søe tells us, touches on the difficulty of the everyday at a time in life when everything is changing. All the time. A lot of girls like Shanne feel a strong need to bond with one or more of their friends. We follow Shanne as she grows into a teenager and her friends gradually become as or even more important than her family. It’s a vulnerable time. Shanne thinks a lot about who she is. She is starting to break away from her family and needs someone to hold onto. That someone is her friend Emma. It’s almost like unrequited love! When we first meet Shanne, she is yearning to spend more time with Emma, but she finds that Emma is less interested in hanging out with her. Shanne says being best friends is like having a boyfriend. This is made clear to Sussie (Weinold, ed.) and me as we watch the girls go through the same kind of emotions and conflicts as someone in a relationship. They give each other jewellery and ritually put it on each other. They squabble and get annoyed at each other’s idiosyncrasies, and they have big emotional clashes and reconciliations. And they get very jealous at other girls, who are seen as potential threats to their friendship. It’s almost like they are rehearsing for marriage! Shanne, Emma and other girls their age change so quickly. Everything is in motion. What was vital two months ago suddenly isn’t so interesting anymore. Nonetheless, when we started filming, it was important for us to take the girls’ feelings at that moment seriously. Those feelings are so much about who the girls are, especially in relation to who they are with, though they can also be about after-school activities or the clothes they wear. Our experience was that the girls really wanted to talk about their feelings. They are perfectly willing to talk about their relationship conflicts, if they feel that we are taking them seriously. It’s about us going into their world 100 percent and taking the time to include every detail, even if we know their priorities the following week may look completely different. Shanne is not afraid to open up and tell about all the things that hurt. But even that changes along the way. When the film opens, her relationship to her best friend is all consuming. At that point, we found that she has an almost unlimited interest in letting us into her life and her thoughts. Over time, she develops other interests. She gets a different perspective on herself and her relations, and it becomes correspondingly harder for us to get close to her. I think Shanne’s story is a recognisable one. Shanne is like a lot of other girls her age. Enormously vulnerable, but also strong and funny. She is not someone you feel sorry for. No way. We didn’t conceive the film as a problem story in the classic sense, even if we show Shanne having a tough time. The film is about the difficulty of the everyday, which can be a really big deal for a lot of girls. I was in a symbiotic relationship with a friend when I was Shanne’s age. I remember the security of having someone to belong with and how we cultivated all the symbols that were tied to our friendship. I also remember the times when friendship relations between the girls in my class were not so easy. We were testing each other, and there were hierarchies, systems and rotations that hurt, too. However, I think girls today are much better at reflecting on all the mechanisms. They are much more aware and articulate about the identity project underlying it all! I hope our film shows that, too. Shanne and Her Friends, selected for IDFA Kids & Docs, is produced by Mette Mailand for Plus Pictures. 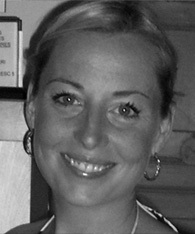 Director Ulla Søe, 37, graduated from film and media studies with additional studies in rhetoric at Copenhagen University. Has directed a number of TV doc series for national broadcasters DR and TV 2, including Dancing Simon (2010), Our First Child (2009) and Mr. Beard (2008). 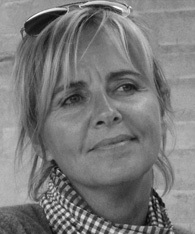 Director and scriptwriter Sussie Weinold, 54, is a scriptwriter graduate from the National Film School of Denmark. Has directed TV documentary series such as This Is Love (2012), The Girls Room (2011), The Art of Surviving as a Child (2010) and Small Faces (2006), selected for IDFA. We get uniquely close to 13-year-old Shanne in this film about having friends and creating your own identity in the difficult early teen years. Shanne’s best friend, Emma, has transferred to another school and Shanne misses her in class. There are a lot of cliques and she feels alone, even though she and Emma are staying in touch. After summer vacation, the grade seven kids at her school are mixed up into three new classes, which gives her hope of making new friends. Will she maintain her old friendship with Emma at a time when everything is changing so much?